I’m a firm believer that our choice of batteries for our mods is the most important decision that we make concerning our gear. By nature, the 18650 battery industry is extremely competitive, secretive, and sometimes deceptive to consumers. If you aren’t using an Aspire, LG, Panasonic, Samsung, Sanyo, or Sony battery chances are you are using what is called a rewrap. All the other batteries on the market are probably using a cell made by one of the above manufacturers and simply adding their own logo on the insulating wrapper. Let’s talk about how the battery industry works. The brands LG, Samsung, and Sony are well known to vapers, as well as in the battery industry. These three manufacturers make the majority of cells in the 18650 market. They represent the pinnacle of current technology and innovation. Batteries are not created equal despite high standards of engineering, technology, and manufacturing techniques. After the cells are made, they go through a series of quality control processes. They then are sorted as to their overall quality. “A bin” batteries represent the top tier, and are reserved for sale for the auto and OEM power tool industries. “B” and “C” bin batteries are lesser in quality, and are generally sold off to those brands or companies who rewrap batteries under their own log or brand. Building a new battery factory is a huge, multi-million dollar investment. With all of the new upstart brands of batteries appearing out of nowhere recently, one has to wonder how they can advertise amp ratings which seem to be too good to be true. The facts are, it is too good to be true. It is far cheaper and more profitable for an upstart brand to rewrap another manufacturer’s reject cell and throw on a pretty wrapper with their own logo than it is to start a new factory. Paying only 10 to 20 cents per battery for these lesser quality batteries and then charging $6 to $10 per battery just for a new wrapper is quite a profit margin. Add to this that most of these companies over-rate their amp and mah ratings to gain consumers’ attention. Because there is no regulatory authority to monitor the industry they can get away with the false advertising. Many of these upstart brands are advertising “maximum discharge” ratings, not specifying whether this means the “continuous” or “pulse” discharge rating, which can confuse battery experts as much as regular consumers. There is a huge difference between the two, and I will write about this in a future article. For now, let’s imagine we are evesdropping into a board meeting at one of these upstart companies. CEO: Good morning. What cells have we acquired? Inventory Team: We have a small batch of “A” bin LG 30 amp batteries. And we also have five large batches of “C” bin Samsung 20 amp batteries. CEO: What consumer base should we be targeting with our advertising? Research Team: We should target the ecig mod users. They are always looking for high amp batteries. CEO: OK, good. Let’s go heavy on the advertising. Say that they are 40 amp batteries. Make sure our wrappers boldly say 40 amps. Marketing: Consider it done. I already have some YouTube reviewers in mind who always give great reviews if they receive free gear. We’ll make sure they get the “A” bin batteries to review, just to be sure. CEO: When the “A” bin batch runs out, switch over to the “C” bin batteries for sale to the distributors and vendors. If sales run slow, make arrangements to sell them on Ebay and Amazon. The above fictional scenario was created to demonstrate how these companies can inflate the specs of the battery and also change the make, model, and quality of the battery at any given time. So you may be asking how do I know this stuff? Battery rewraps have been a common practice for years. In some cases, it doesn’t matter much as long as the rewrap company is honest about the battery specifications. Orbtronics openly admits that their house brand are rewrapped Panasonics. Xtar admits to rewrapping Sony batteries. Back in the day, China-based AW made a great reputation and a lot of money allegedly selling rewrapped batteries. I don’t believe the company admitted they were rewraps, but you could read between the lines. Their ICR battery labels used to say, “Manufactured in China, cell and IC made in Japan”. It’s only a hunch, but I believe AW made enough fortune to build his own factory in China. His ICR batteries now say only, “Made in China”, as do his IMR batteries. If memory serves me correct, AW was the first brand to offer IMR batteries before any other brand. They also make great performing IMR batteries in 18350 and 18490 sizes. LG, Panasonic, Samsung, and Sony don’t make this size of IMR battery, so if AW isn’t making them, who is? The new AW 18650 3000mah 20 amp battery is the only AW battery which says, “Made in Korea”, its bench test mirrored the LG HG2 3000mah 20 amp, so it might be a rewrapped LG (LG is based in Korea). What I detest is when a rewrap has over-rated specifications through deceptive advertising to con consumers into believing they are buying a superior battery. In certain applications, this could have serious consequences to an unsuspecting user. This first came to my attention a couple of years ago when Dampfakkus, an independent battery researcher, published that a particular purple battery manufacturer was very likely rewrapping batteries and inflating the specifications. Removing the insulating wrap of a Sony VTC4 and a Purple Efest 2100mah 30 amp revealed the same cell underneath. The Efest 2500mah 35amp had a LG 2500 mah 18650 HE2 cell, which LG said was only a 20 amp battery. The Efest 3100 mah 20 amp had a Panasonic NCR18650BE, which tested out as only a 6 amp rating. 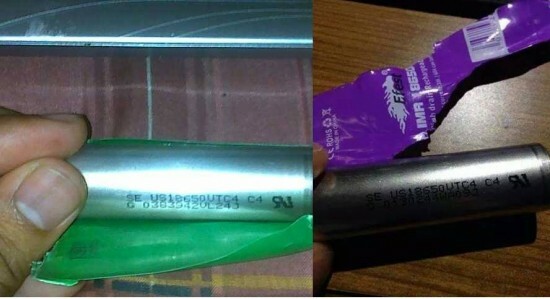 Efest protested that the samples tested by the research must have been counterfeits, and insisted that they make their own batteries and don’t rewrap. They began “authenticating” their batteries with codes that a consumer could check, but it didn’t really matter. The authentic batteries didn’t test out any better than the so-called fake ones. Not too long after this, Battery Mooch came along with his own independent bench tests. His findings consistently show that all of the suspected rewrappers’ batteries with an amp rating over 30 amps are only 20 amp batteries. Batteries manufactured by AW, LG, Samsung, and Sony consistently matched their advertised specifications. Does this mean that your rewrap batteries are “bad” or not safe? Not necessarily, it depends upon how you are using them. 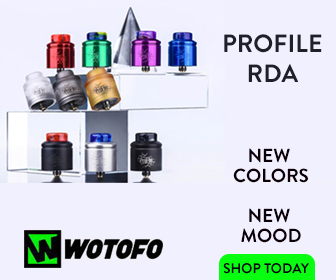 If you’re using them in a regulated mod, the protection circuitry will most likely inform you if the battery is inadequate to provide the watts you ask of it. 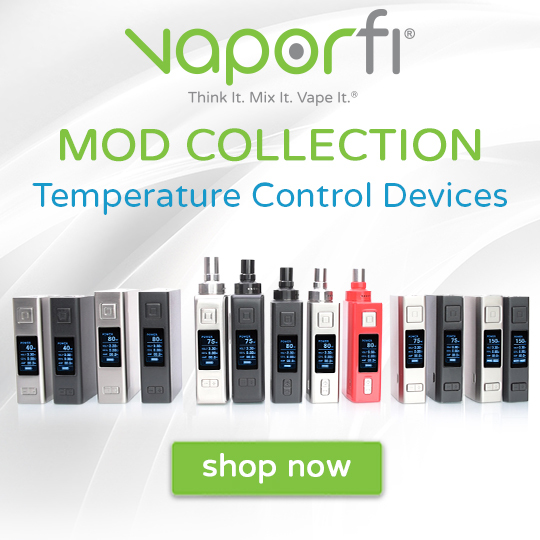 The overall performance of your regulated mod may suffer poor performance. However, if you’re using them in a mech and running a super sub-ohm build, you may be at risk. Using what you believe to be a 40 amp battery with a 0.2 ohm build (not realizing its only a 20 amp battery) sounds pretty dicey to me. When you can buy an authentic LG, Samsung, or Sony battery from a reputable dealer for $6 to $8, why pay that much or more for a suspected rewrap? Which is more than likely a “B” or “C” bin battery? And more than likely has inflated specs? In early 2016, reviewer Phil Busardo visited China and filmed a tour of the Aspire battery factory. He gained access and permission to film this because his friend is a part owner of Aspire. Phil also tried to visit another un-named factory, and was coldly told, “We don’t need you here.” Until more companies open their doors, we have no certain way to know if they are a legit manufacturer or just a rewrapper. In closing, learn to become a wiser and more informed consumer. Don’t believe the advertising hype of 30 amp plus batteries, they don’t exist. Do your research before buying. Check Mooch’s Blog to see which batteries he tested and which ones he recommends. 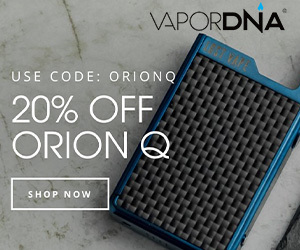 We get ALL our batteries from Direct Vapor for one simple reason: we know and trust them and they only sell the safest and most reliable cells, built by reputable brands. DO NOT cut corners when it comes to buying batteries; the risks are just too great.